Abound with white lilies, pink roses and purple carnations our Perfect in Pastel Bouquet is the perfect gift to show how much you care. White lilies symbolize devotion and humility, pink roses symbolize elegance and grace, while purple carnations symbolize royalty and loyalty! 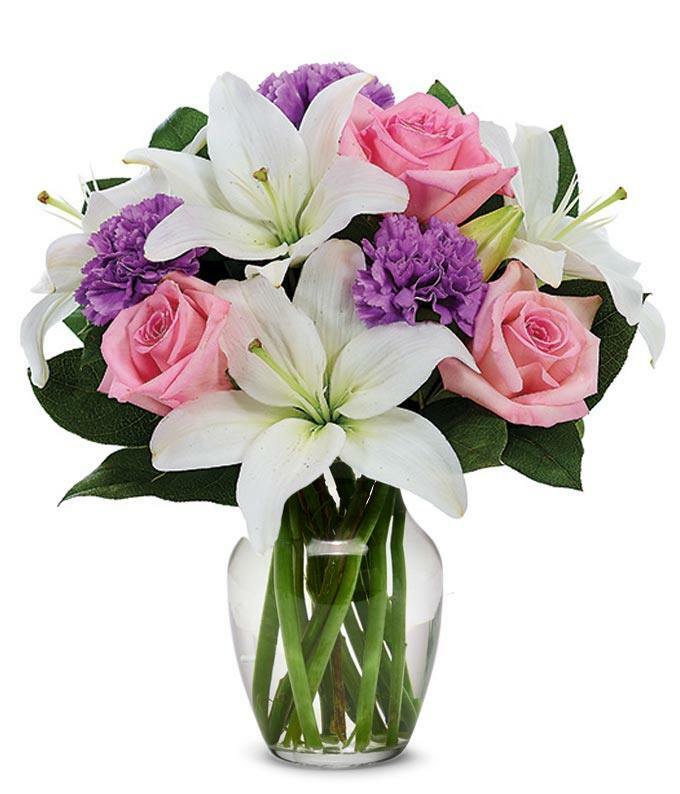 Send these fresh flowers to someone special and they will certainly speak for themselves!